Are Kohu and "Heart for Eye" fashion labels in Korea? Does anyone know? Also, Han Jin is skipping New York Fashion Week this year. Charlotte Carey is a 16-year old model who is half-Indonesian, half-English and hails from LA. She is represented by Photogenic in LA. Click HERE to view the video ad for Eileen Fisher, starring the gorgeous Jihae Kim. Florence Faivre is half-Thai, half-French. Here is the 2nd installation of Vintage Saturday with 1990's model, Yasmeen Ghauri. She looks absolutely amazing here. She was one of the most beautiful models in the 1990s and one of my absolute favorites when I was a kid. 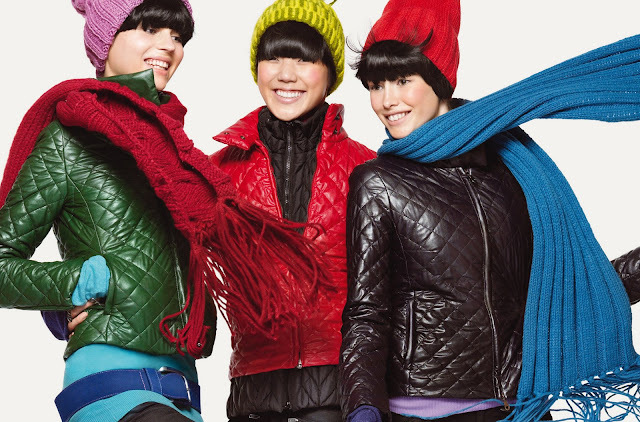 Here is a new photo of the ad campaign for Tommy Hilfiger, Fall 2009/Winter 2010. A different photo was posted on here earlier last month. 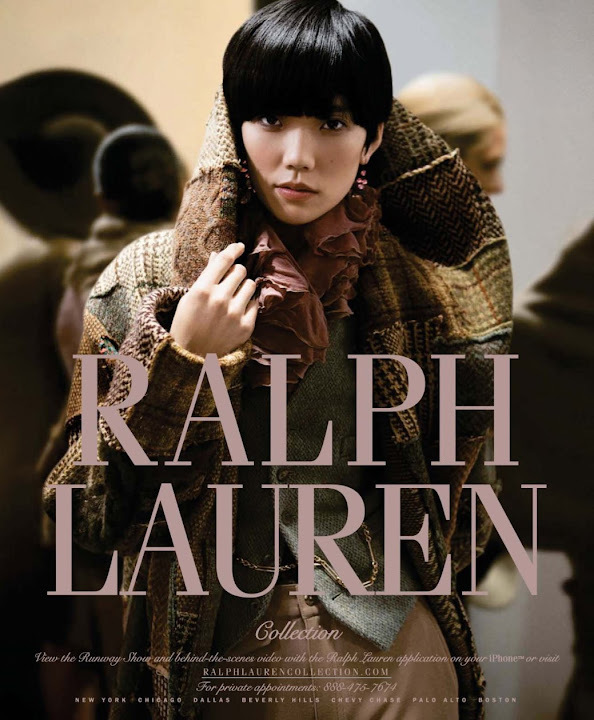 Here is a different variation to an earlier ad photo for Ralph Lauren, Fall 2009/Winter 2010 that came out in April 2009. The author of Ready Set Fashion has a truckload of old fashion magazines and she managed to scanned some of these vintage photos of Ling Tan from US Elle, March 1998. What an amazing find!! From now on, Saturday's posts will be all about vintage fashion, provided I can find enough photos to keep it going. Mey Bun is having a resurgence right now. She did her first show at New York Fashion Week, Spring 2004 so she's been around for a few of years. However, in the last couple of months, she has appeared on Russian Vogue (August 2009), Dazed & Confused (July 2009) and now, she landed a cover for (Brazil) U Magazine, July 2009. Does anyone know if she has been with New York Models the whole time or did she switch agency and got a boost in her career? Also, I noticed that her look has changed dramatically. She has lost a lot of weight and turned her cutesy, baby face look into a leaner, svelte model. If anyone has more photos from this editorial, please let me know. 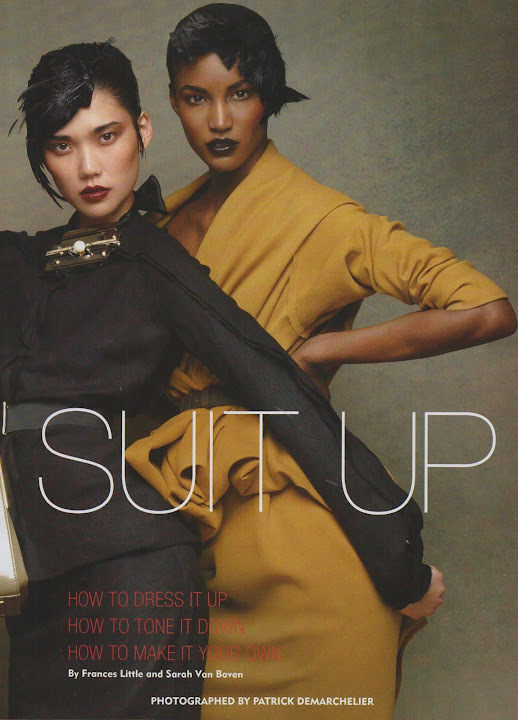 Note to magazine editors/stylists -- you; yes, I'm talking to you -- this is how you do an editorial with Hye Park!